• (1) - FUJITSU ETERNUS DX 12-BAY 3.5" SAS ARRAY ENCLOSURE DX80 ET08L22AU CA07190-A211 1000312401301 CA07145-B001. Hard drives or caddies are not included. The Fujitsu second generation of ETERNUS DX disk storage systems, ETERNUS DX S2, are The Flexible Data Safe for Dynamic Infrastructures. Enterprise-proven capabilities protect data assets across all types of IT infrastructure. 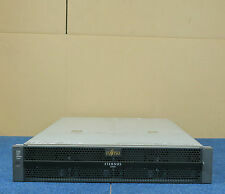 Fujitsu ETERNUS JX40 Storage Subsystem 24x Bay 24x 1TB FTS:ETJXS11BG SAS Array. 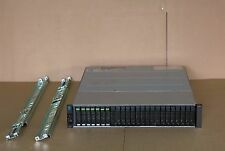 1 x Fujitsu ETERNUS JX40 Storage Subsystem 24x Bay 24x 1TB FTS:ETJXS11BG SAS Array. Model No: Eternus JX40. P/N: FTS:ETJXS11BG.